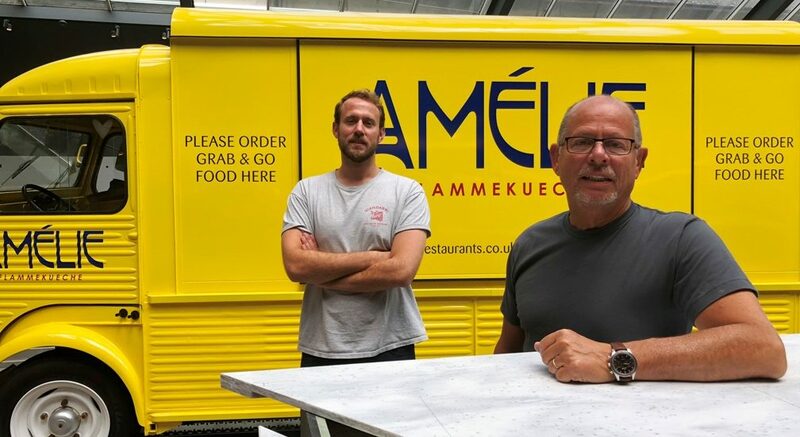 Great Article in the East Anglian Daily Times celebrating the launch of Amélie Restaurants at the Grafton Centre in Cambridge serving Flammekueches. The menu will also include a range of salads and desserts. The bar located in an old yellow Citroen Van will serve soft drinks, wines and a special Amelie’s Golden Ale from Nethergate Brewery in Clare, Suffolk. 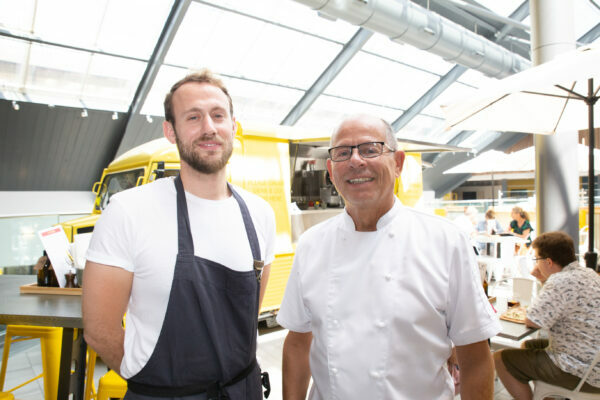 Régis and Alex Crépy will open Amélie Restaurant on the 6th of August 2018 with a soft opening and a 50% off all food until the 12th August. Originally created in the 14th century in Alsace on the French German border, flammekueche is relatively unknown in the UK. It is a very thin bread dough spread with crème fraîche, sliced onions and smoked bacon then topped with different toppings according to customers’ choices. 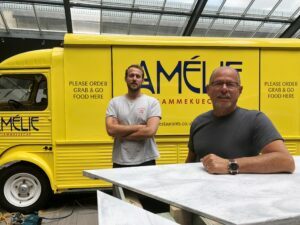 celebrating the launch of Amélie Restaurants at the Grafton Centre in Cambridge serving Flammekueches.